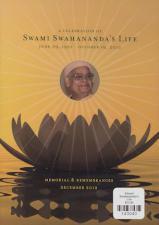 The DVD is a collection of the various memorials where Sw. Swahananda's life was celebrated, often with humor and insight. An inspiring collection of events. In celebration of Swami Swahananda’s life, we are offering a DVD set of three events, the formal funeral service at the crematory, the Hollywood Memorial Service, and the Santa Barbara Memorial Service. 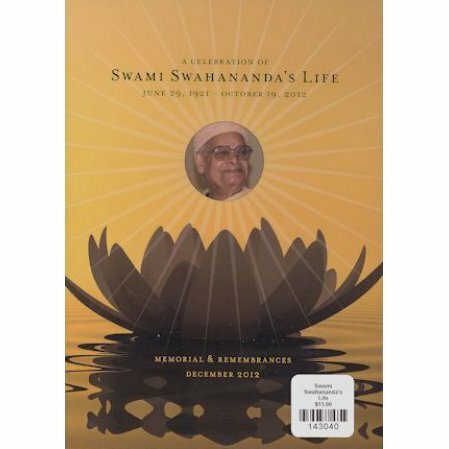 The double-disk set includes a 30-minute photo collage spanning Swami’s life, clips of him speaking on various subjects, and reminiscences of nuns, monks, and devotees about his life and personality.